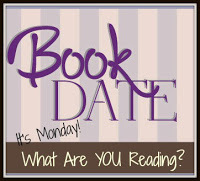 Book By Book: It's Monday 9/10! What Are You Reading? I think I'm going to have to look at joining the R.I.P. Challenge next September/October (assuming this is an annual thing). This is one area of reading that I easily neglect, but it's enjoyable when I make time for it. Thanks for all the shares, Sue, and have a wonderful reading week! Yes, the R.I.P. Challenge s annual, though the hosting blog seems to change each year - I love it! The Rain Watcher and the Gathering Storm -- you guys sure know how to pick timely books! ha ha ha - yes, very appropriate!! Maybe that's the problem - maybe we should be reading books with sunshine in the title! Often I know we have different reading tastes, but I loved Sarah's Key, so will look for The Rain Watcher. It is rather amusing to hear those "wet" titles, considering your weather. Hope the shorter trip is wonderful! I haven't read Sarah's Key yet, but it is on my TBR shelves, and reading The Rain Watcher is giving me some extra incentive to get to it! Our trip just got even shorter - our truck broke down, so we can't go camping now - still hoping to manage 3 days away, though!! I just finished a super good book, but can't review it until next week since it's part of a tour. Oooh...mysterious! Can't wait to hear about it! I agree with Beth F (above)! I had the same thought! ha ha ha - guess we should start reading books with sunshine in the title!! Waking Gods sounds like a book I need to get to soonest! :) Have a great reading week. It's a great series! Start with Sleeping Giants - so compelling and unique!